This little application can be run as a stand alone app or intergrate into your right mouse clicks on drives / folders. It searches out for lost empty folders. Handy after cleaning out old My Document folder or Datacad symbol management. Quickly change file extensions by draging files or folders over the program window. Handy for changing mp3 extensions & translating Spirit symbols. 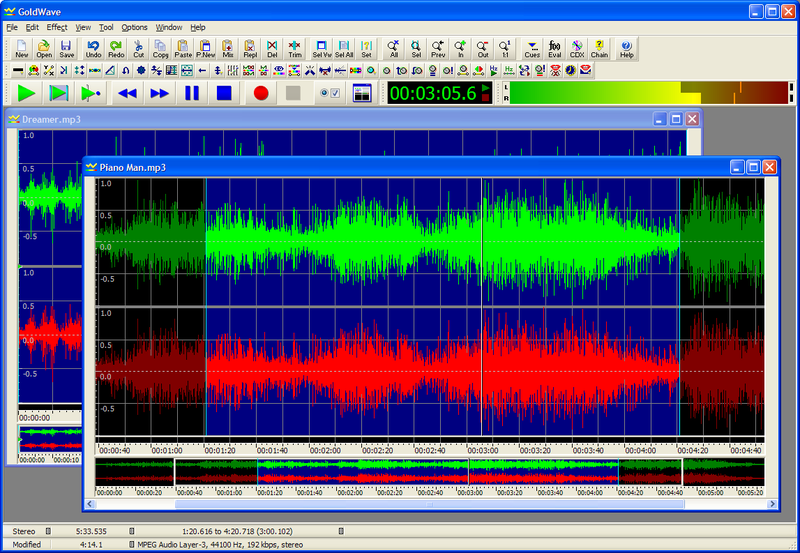 GoldWave is the most advanced and complete audio editor available in its price range. It includes all of the common audio editing commands and effects, plus powerful built-in tools such as a batch processor/converter, a CD reader, and audio restoration filters that cost extra in other similar programs. Comprehensive, easy to use, and efficiently engineered, GoldWave offers the best value in audio editing software. With over 10 years of development and widespread usage, it has an excellent and unmatched track record.